This post was originally published in NEHRA’s April e-newsletter. New England-area employers and hiring managers are experiencing first-hand a shift to a candidate-driven job market. They’re finding that it’s become more difficult to land top talent and that candidates are increasingly in the driver’s seat. This demand for highly skilled workers – across all industries – continues to rise and has become a central challenge for recruiters and hiring managers. Recruiters and hiring managers are becoming well aware that this candidate-driven market exists and they are responding. Highly skilled workers have many job openings to choose from, and are ultimately receiving multiple job offers during a typical job search. Skills and experience in IT, professional services and healthcare continue to be among the highest sought after. For example, temporary contractors with IT skills and experience are seeing multiple offers for future projects or permanent positions before wrapping up projects they’re currently on. Our clients are faced with a critical decision over how much budget to allocate for each new hire. If they allocate too little, they will lose candidates to other offers. Large tech companies like Google and Facebook are setting new standards for both compensation and benefits, forcing other companies to follow suit. A large social media and tech company just outside Boston recently offered select highly skilled software engineers salaries at three to five times the market average, and is increasing company-provided lunch from three days per week to five days per week starting in July this year. Employers are trying to be flexible and think creatively about how they attract talent. Companies in the Boston and New England area have been forced to rethink how they go about getting work done, the type of candidates they end up hiring, and the process through which they hire. It seems obvious, but I’ll elaborate a bit. In today’s economic climate, where demand for skilled workers has steadily increased, companies going through organizational change, merger or acquisition, implementations, upgrades, growth or decline will face difficulty finding available talent that meets their exact need. The more prerequisites or more specific the skill-set is, the harder it is to find the perfect match. Hiring managers feel the pressure of time to meet deadlines and manage through change, and more frequently than ever before, they are utilizing temporary or contingent workers to fulfill those needs. According to the BLS and Staffing Industry Analysts, temporary workers as a percentage of total employment is at an all-time high and trending upward. Some firms find that it is faster and more affordable to utilize a staffing firm to hire a temporary consultant than to post a job and find the perfect full-time employee. Hiring managers who hire quickly win. With a talent pool on the decline and demand on the rise, those who shorten the time it takes to find and onboard candidates are winning the best available talent when they need it most. Many of our clients have elected to trust our screening and interviewing process, asking us to send our best available candidates, rather than requesting to see and screen resumes and then interview themselves. This can mean the difference between getting the best available candidate or the second or third round, and it saves our clients money and time toward deadlines and goals. On another note, clients who are generally more flexible with required skills and experience are finding access to alternative talent pools more efficient and successful than waiting for the perfect candidate to turn up. Intertwined in our screening and interview process is a detailed and rigorous extraction of skills and experience not appearing on resumes. Another way to speed the vetting and hiring process up a bit is simply by using technology – like Skype or other video conferencing tools – to ease requirements for meeting in-person. At PSG, we rely heavily on our ability to build strong relationships with clients where this process is a true collaboration, and we commonly coach and advise clients on effective search techniques. In today’s tight market, shortening identification and onboarding time, being more flexible with prerequisites and offering competitive wages and benefits are keeping our clients at a competitive advantage in this new candidate-driven market. 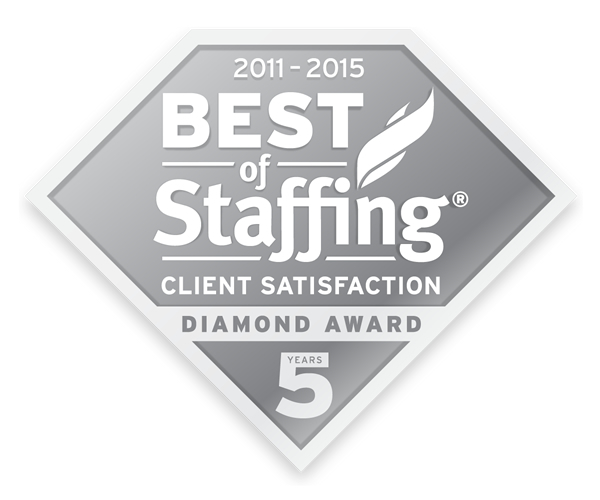 If you or your company would like to discuss hiring in a candidate-driven market, please feel free to reach me at nbrown@psgstaffing.com or 617-250-1000. When you meet hundreds of job candidates each week, you hear a lot of comments and learn about candidates’ hopes and fears about their careers. Sometimes we hear statements that aren’t 100% accurate or are based on outdated stereotypes. PSG President Aaron Green wrote this article, published on Boston.com, to debunk the myths about temporary jobs. 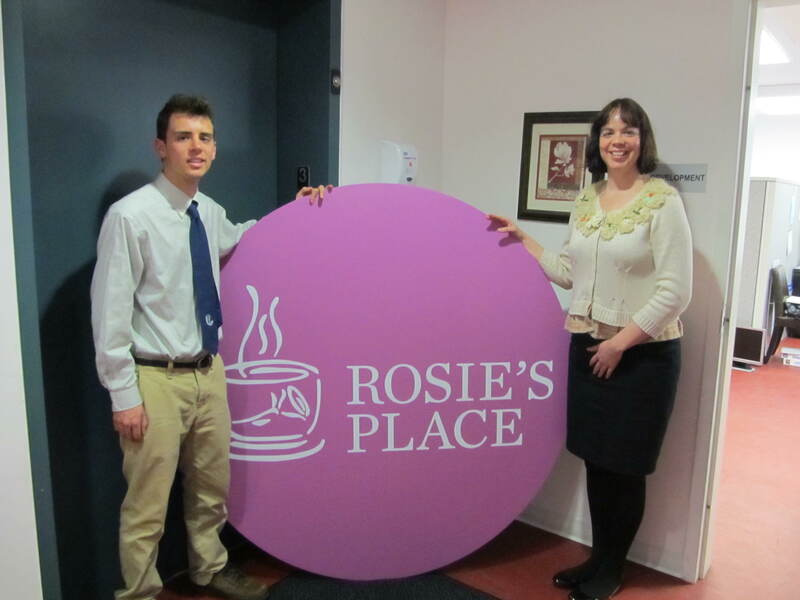 As part of its Guaranteed Work Program (GWP), PSG proudly supports several Boston non-profit organizations, including Rosie’s Place. James Bianconi is one of the PSG temporary employees who is occasionally sent to work at the Rosie’s Place offices, where work involves coordinating fundraising mailings and performing data entry. “Thank you to the Professional Staffing Group for including Rosie’s Place as a sponsored non-profit in your Guaranteed Work Program. All of the temporary employees who have been sent to work at Rosie’s Place have been professional, helpful and hardworking. We are so grateful for your support!” said Katie Amoro, Development Officer at Rosie’s Place. Rosie’s Place was founded in 1974 as the first women’s shelter in the United States. Its mission is to provide a safe and nurturing environment that helps poor and homeless women maintain their dignity, seek opportunity and find security in their lives. Today, Rosie’s Place not only provides meals and shelter but also creates answers for 12,000 women a year through wide ranging support, housing and education services. PSG is proud to support several Boston non-profit organizations through its Guaranteed Work Program (GWP). Through the GWP, PSG sends temporary employees to work in the office of an area non-profit when no client has requested the worker for that day. That’s how Richard Lestage got his assignment to work for Boston Partners in Education recently. Boston Partners in Education pairs volunteers with Boston Public School students to help them gain the skills, self-confidence, and the motivation they need to succeed in school and in life. During the 2012-2013 academic year, BPE matched over 5,000 students in 72 schools throughout the city with 732 volunteers. BPE recruited, trained, placed, and supported volunteer academic mentors to work with students one-on-one, in small groups, and with entire classrooms. Academic mentors gave a combined 27,773 hours of their time to work with these K-12 students, resulting in an in-kind contribution of nearly $1.3 million to the Boston Public Schools. “Boston Partners in Education is so grateful for the pro-bono support we receive from Professional Staffing Group through their non-profit partner program. We jump at the amazing opportunity to have a skilled and friendly PSG worker assist us with crucial work, especially when faced with tight deadlines. Because of PSG, we are able to complete a variety of tasks on time and on budget. We truly appreciate the support!” said Pamela Civins, Executive Director of Boston Partners in Education. Q: What does the term “temp-to-hire” mean? A: There are several ways you can be employed when working with a staffing firm: as a temporary employee, a temp-to-hire worker or as a direct-hire. Direct-hire means that the firm’s client hires the employee directly. The staffing firm is used to recruit and screen candidates for the role, but once the employee is hired, they no longer have an affiliation with the staffing firm and go directly on the client firm’s payroll. Sometimes an open position is designated as a temp-to-hire position right away, because the employer knows they want to fill the position with a permanent employee, but wants to use evaluate temporary workers in the role to find the best candidate. Other times the position is advertised as a temporary position, but the employee does a great job and the employer decides they want to make that worker a permanent staff member. Many of the candidates we meet with would prefer to find a permanent position. However, temp-to-hire opportunities can be just as beneficial to the candidate as they are to the employer. There’s only so much information that each party can learn about the other in one or two interviews. It’s only when you’re immersed in the job on a day-to-day basis and interacting with co-workers and customers, that you can truly understand whether the situation is a good fit. 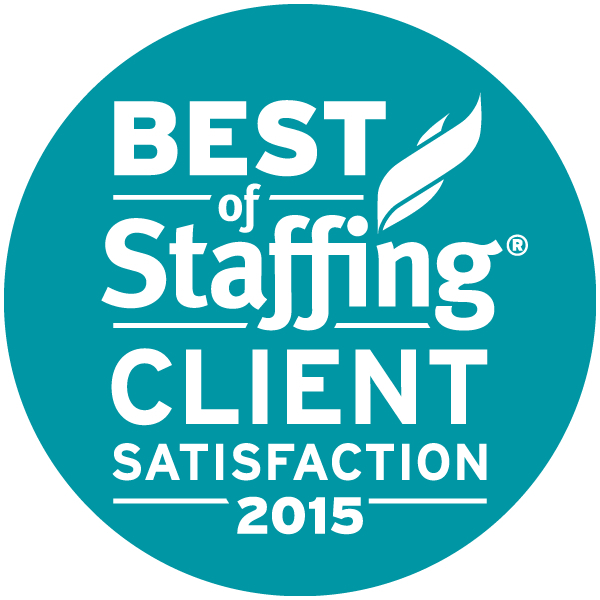 Kristen Coppins has 10+ years of experience in the staffing and recruiting industry. As a Director and member of the management team at Professional Staffing Group (PSG), she oversees the new hire training and development program. Kristen is also a member of ASA’s Continued Education Committee.